cultural shifts in the nineteenth century. Drawing on the work of Habermas, Giddens, Touraine and Bryan Turner, among others, Juan R. I. Cole considers some of the ways in which Middle Eastern society was affected by five developments central to modernity: the lessening entanglement of the state with religion, the move from absolutism to democracy, the rise of sovereign nation-states, the advent of nationalism, and the women's movement. 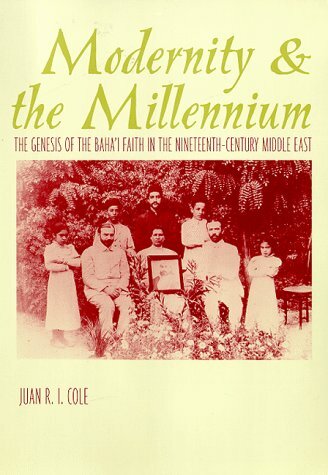 He explores the Baha'is' positive response to religious toleration, democracy, and greater rights for women and their "utopian realist" critique of nationalism, militant Jacobin secularization, industrialized warfare, and genocide, oppression of the poor and working classes, and xenophobia.